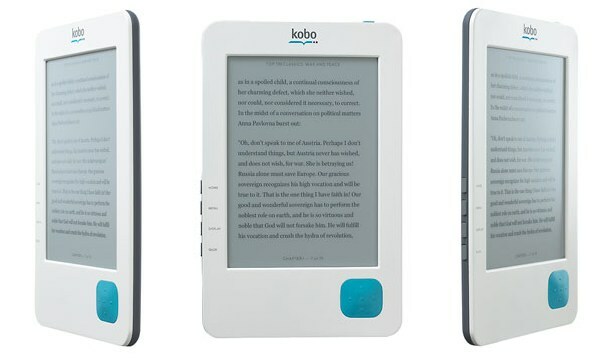 Dirt cheap and no features to speak of: will the Kobo e-reader sell by the million? 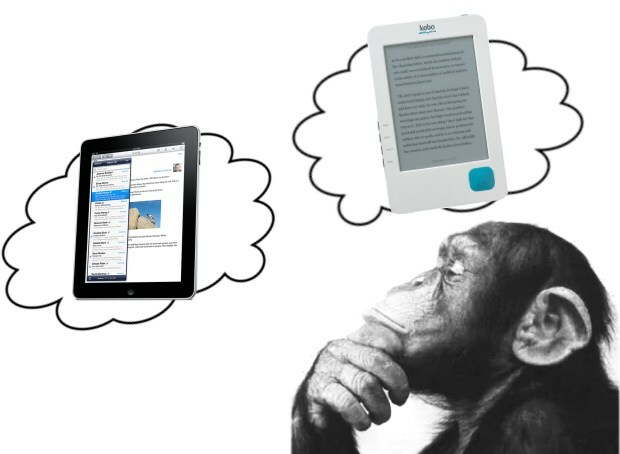 If you follow e-readers, you might have seen the post I wrote not long ago detailing and judging the various secondary features e-readers are sporting in order to catch the eye of the spendy book-lover. I am ashamed to say I missed a very important one: extremely low price. I mentioned it in passing, but the truth is that once a device like this creeps below $100 or so while retaining its fundamental function, it gains access to a few different markets, a circumstance worth looking at. The Kobo e-reader is the spark that set this post off; at $150, this 6″-screen, 0.4″-thin, half-pound device is among the very cheapest e-readers out there, yet Kobo also runs its own bookstore, which has the usual classics and bestsellers — probably 90% of what gets sold for e-readers. It’s going to be sold at Borders, and with its modest price tag might make for more of a temptation to browsing customers. But as long as consumers are being bombarded with promises of Android, touchscreens, cool dual-screen form factors, the Kobo is going to look mighty shabby in comparison. And by the time Kobo gets some press and is widely available, we’ll probably be hearing about all the cool stuff that’s going to happen next year. What’s a cheap, functional e-reader to do? Sell in bulk. The e-book is a loss leader, right? If someone spends $150 on a reader, you can be sure they’re going to get their money’s worth by buying at the very least 10 or 20 books and magazines a year with the thing. I don’t know why more e-readers aren’t being sold at or below cost. Sony made the same mistake with the PS3 — if they truly had a “10-year plan” for their device, why were they so chary of losing money at launch? Nobody is going to buy a PS3 and no games, and nobody is going to buy an e-reader and no books. We talked in the podcast about the Alex and things like co-branding with publishers and subscription models. I think that in the coming tablet wars, the only way e-books will be able to stay above water is with volume. And in order to have volume, they’re going to need to be able to make a real value proposition when there’s an iPad or Chrome OS tablet in their customer’s hand. As much as I like the Que, for instance, few will buy one at $650 when you can get a tablet computer for far less. Sure, they don’t do the same things exactly, but tell that to the consumer looking at full-color e-books on the iPad and desktop-class web apps in Chrome OS. There’s only one thing to do: get them prices down! E-reader sellers have been living in a land of milk and honey for the last year; although their devices are yet unfamiliar to most people and probably aren’t selling as well as anyone hoped, they were a class to themselves and people justified spending $350 because “that’s just how much these things cost.” This year should change that, and the iPad’s strong sales should strike fear into e-readers’ hearts. Amazon is already hedging its bets. Seriously, though. Kobo, being first and foremost the cheap, basic option out there, should capitalize on that — as far as one can capitalize on being inexpensive. Call up school districts, libraries, universities, and hey why not, government agencies. Think of the amount of paper used in duplicating bills and memos for interns and editors to read! Of course, if any great amount of marking up is required, that’s a bust for the Kobo, which has very little in terms of input, but it still could be very useful in the right situations. They’ve also got apps for the major smartphone platforms, which is a good selling point for big, homogeneous groups like enterprise and government. 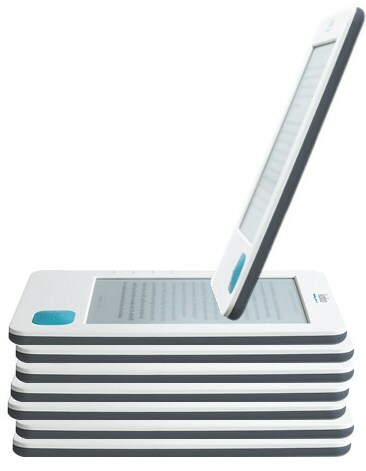 The thing is that Kobo needs to bite the bullet and start selling these things for peanuts. If they want to get a leg up on the other e-readers, to say nothing of survive the onslaught of tablets, they need to get a million units out there stat. Apple’s got a 10-iPads-for-$4970 deal right now, but to outfit a class of freshmen at that price would bankrupt Croesus. But if Kobo calls up UCLA and says “Psst – special deal for you, my friend, Kobo eighty dollars, you buy at my store,” I think they can guarantee themselves quite a few sales, though it may mean a lot of work by some party in localizing lecture notes and so on to the e-book format. If the state or city won’t bite, then offer deep student discounts. Just get them out there. The gist is this: the only way e-readers are going to stay healthy a year from now is by either being one of the few leading brands (Kindle, nook, etc) who can sell at a premium, or by selling their product in thousand-packs for deep discounts. Schools are the obvious target for this kind of sales tactic, but like the Alex, Kobo could also work with publishers and stores to re-brand and customize, as they’re likely doing with Borders. Of course, at this point it’s still speculation and guesswork as to the buying patterns of the book-buying public, so we’ll see how it turns out, but for a non-premium device like the Kobo, I think the course is clear.